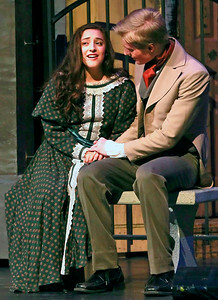 Candace H. Johnson-For Shaw Media Isabelle Esquivel, 16, of Wauconda, as Cosette, sings with Ethan Jankowski, as Marius, in a scene from the Garden at Rue Plumet during the dress rehearsal of Les Miserables at Wauconda High School. 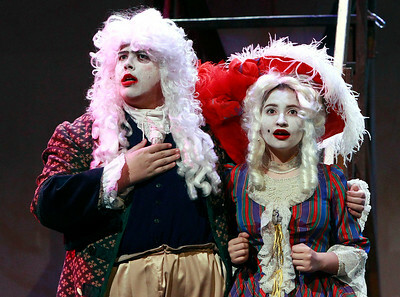 Candace H. Johnson-For Shaw Media Lexi Ellerman, 17, of Wauconda (center) as Madame Thernardier, works with the Ensemble on a song from the Streets of Paris during the dress rehearsal of Les Miserables at Wauconda High School. 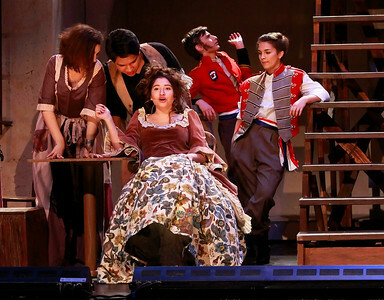 Candace H. Johnson-For Shaw Media The Ensemble sings the song," At the End of the Day," during the dress rehearsal of Les Miserables at Wauconda High School. 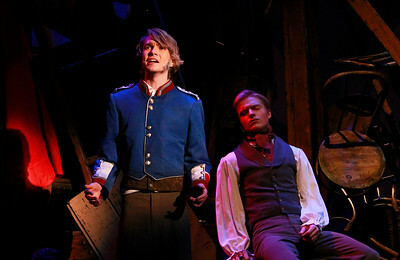 Candace H. Johnson-For Shaw Media Ethan Lupp, as Jean Valjean, stands next to Ethan Jankowski, as Marius, as he sings, "Bring Him Home," during the dress rehearsal of Les Miserables at Wauconda High School. Candace H. Johnson-For Shaw Media Cast members rehearse a song from the Streets of Paris during the dress rehearsal of Les Miserables at Wauconda High School. 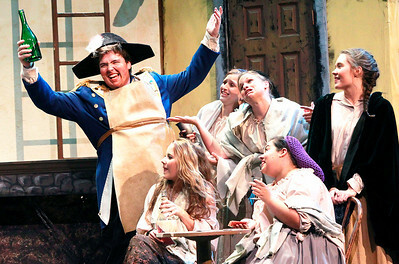 Candace H. Johnson-For Shaw Media Ryan Krewer, 17, of Island Lake, as Thenardier, sings with the Ensemble during the dress rehearsal of Les Miserables at Wauconda High School. 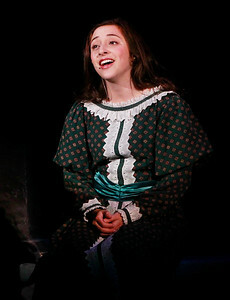 Candace H. Johnson-For Shaw Media Sofia Khwaja, as Fantine, sings the song, "I Dreamed a Dream," during the dress rehearsal of Les Miserables at Wauconda High School. 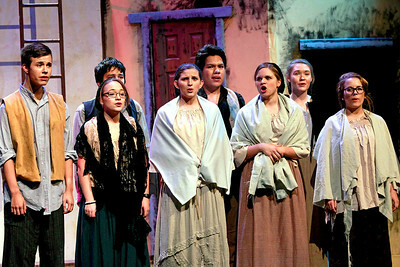 Candace H. Johnson-For Shaw Media The Ensemble sings the song, "Do You Hear the People Sing?," during the dress rehearsal of Les Miserables at Wauconda High School. Candace H. Johnson-For Shaw Media Ryan Krewer, of Island Lake and Lexi Ellerman, of Wauconda, both 17, crash a wedding during the dress rehearsal of Les Miserables at Wauconda High School. Candace H. Johnson-For Shaw Media Isabelle Esquivel, 16, (Cosette) and Tori Chaffee, 18, (Eponine) get their hair done by Sheri Shaw, of Wauconda and Robbie Davis, of Lakemoor, before the dress rehearsal of Les Miserables at Wauconda High School. 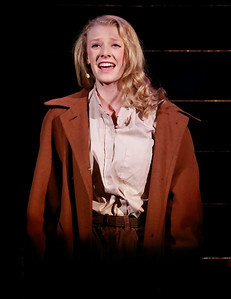 Candace H. Johnson-For Shaw Media Tori Chaffee, 18, of Wauconda, as Eponine, sings the song, "On My Own," during the dress rehearsal of Les Miserables at Wauconda High School. Candace H. Johnson-For Shaw Media Lexi Ellerman, 17, of Wauconda puts her makeup on in her Ensemble costume before the dress rehearsal of Les Miserables at Wauconda High School. Lexi also plays Madame Thenardier in the show. 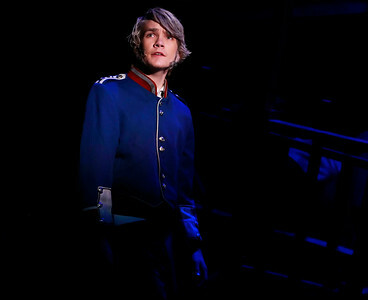 Candace H. Johnson-For Shaw Media Ethan Lupp, as Jean Valjean, sings a song called, "Bring Him Home," during the dress rehearsal of Les Miserables at Wauconda High School. 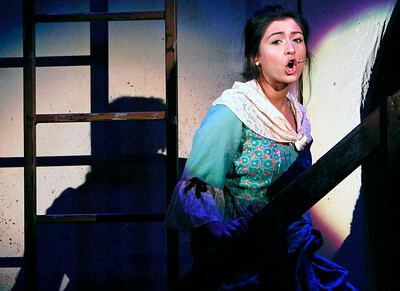 Candace H. Johnson-For Shaw Media Isabelle Esquivel, 16, of Wauconda, plays Cosette during the dress rehearsal of Les Miserables at Wauconda High School. 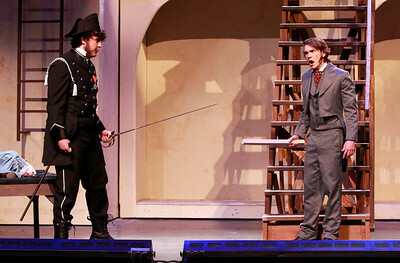 Candace H. Johnson-For Shaw Media Joe Grudt, as Javert, works on a scene with Ethan Lupp, as Jean Valjean, during the dress rehearsal of Les Miserables at Wauconda High School. 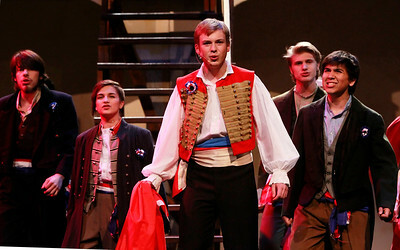 Candace H. Johnson-For Shaw Media Kurt Meinhardt, as Enjolras, (center) sings,"The ABC Cafe," with the Ensemble during the dress rehearsal of Les Miserables at Wauconda High School. 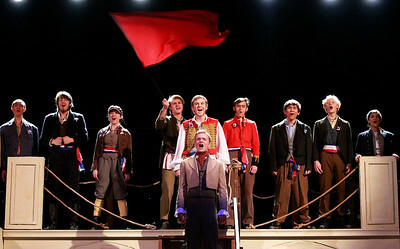 The Ensemble sings the song," At the End of the Day," during the dress rehearsal of Les Miserables at Wauconda High School.